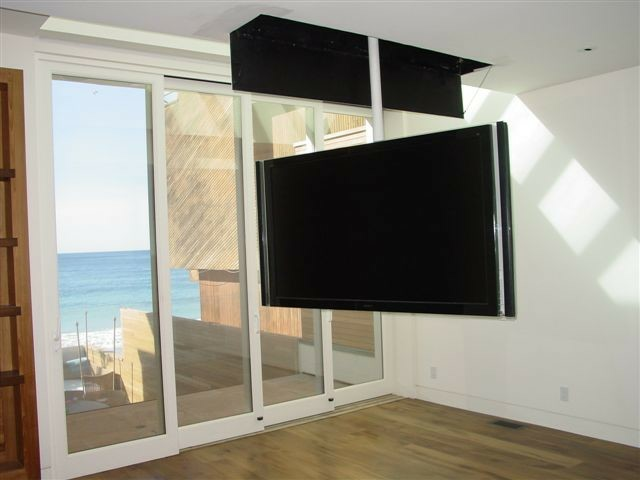 Activated Designs has supported the Hospitality and Design Industry with "Remote Controlled Motorized Solutions" to "Hide The TV"... in the attic, beneath the floor, within the wall, even under the bed! With the simple push of a button the TV magically appears... and disappears, adding elegance and intrigue to any setting. Store your TV under the bed and, with the push of a button, have it silently glide out and up to the perfect viewing position With our CU-50 Motorized Under Bed TV Storage System . Eliminates the need for a piece of furniture at the foot of your bed, or a TV hanging on the wall. All mechanisms ship fully assembled, and can be set up in less than 20 minutes. 5 year warranty and, a 90 day money back guarantee. You can keep the room just as it is, the way it was intended to look. Then, with the push of a button, your big screen TV silently, dramatically, lowers down into the room. Almost as if by magic. Let the show begin! When it come to in floor mechanisms, your options are many. The TV can pop up out of the floor all by itself with the lid rising up with it. Alternately, the TV can be concealed within a decorative enclosure with the top of the enclosure serving as the lid. It can rise up to be flush with the floor, or it can rise up and stop 3,4 or 5 feet above the floor! Concealing the TV behind a piece of artwork or a mirror allows the room to look its best at all times… the way the architect and designer intended it to. To learn more about Activated Designs, please fill out the form below.